Within this section, you will find details of how the healthcare system in Croatia is set up and operates. Sign up for an IMTJ Country Subscription for access, or login if you're already a subscriber. Within this section, you will find details of how state and privately funded health insurance in Croatia work. Sign up for an IMTJ Country Subscription for access, or login if you're already a subscriber. Within this section, you will find information on medical tourism numbers, our estimate of inbound and outbound medical tourists (where they can be reliably ascertained) and news that provides estimates of medical tourism activity in Croatia. Sign up for an IMTJ Country Subscription for access, or login if you're already a subscriber. Why hasn’t Croatia’s tourist boom happened? Find hospitals and clinics, agents and facilitators, services and other organisations operating in the medical travel industry that are based in Croatia. Based in Croatia, the Kvarner Health Tourism Cluster gathers the leading public and private hospital, clinics and tourism boards in hopes to highlight the region's high quality services in health tourism. 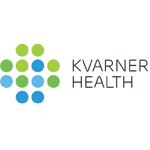 They aim to establish the Kvarner region as a leading healthcare destination, therefore facilitate the development of the health tourism industry, in order to encourage inbound medical tourism to the region.